THOM DANCY, from Winston-Salem, NC, began studying dance at the age of 20 under Cynthia Vallone at Steps on Broadway in New York City. Continuing his education in ballet, Thom pursued a BFA in Dance from the University of Oklahoma, where he studied with Steve Brule, Mary Margaret Holt, and Donn Edwards. As a professional dancer, Thom has worked for Milwaukee Ballet, Grand Rapids Ballet, and currently for The Big Muddy Dance Company under the direction of Brian Enos. Thom has choreographed highly successful works performed by Grand Rapids Ballet, Milwaukee Ballet II, and The Big Muddy. His work has been heralded as “marvelous” by Michael Uthoff, Artistic Director, Dance St. Louis and as being “of great wit and invention” by Tom Strini of The Third Coast Digest. Thom has also been the recipient of choreographic awards ranging from Youth America Grand Prix to the Palm Desert “Dance Under the Stars” Choreography Festival. 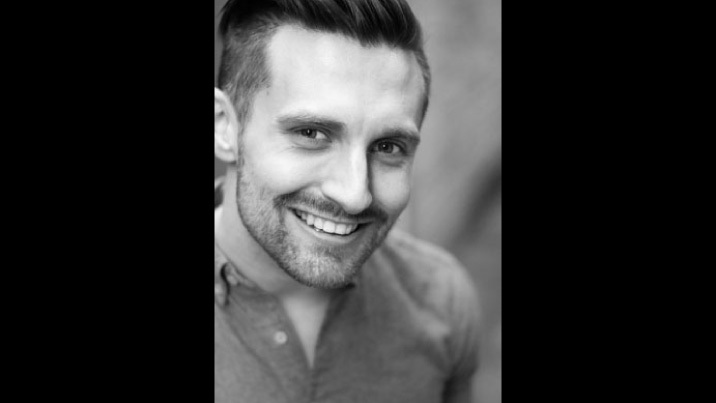 During his off-season, Thom teaches contemporary dance for Grand Rapids Ballet’s summer intensive and has performed in musicals for The MUNY and The Ohio Outdoor Historical Drama Society as a proud member of Actors’ Equity. He is also the director of the contemporary project “NomadicLIMBS”, a group of ballet-minded movers formerly based in Milwaukee, WI. The group received rave reviews during its Wisconsin tenure.